I am continuing this series on some odd and end thoughts about how that expository preaching changed my thinking. Part 1 is available here. Success is no longer the size of the building, crowd, or offering total. For me success has had a huge shift toward hungering for excellence instead of “success.” All of this came about when I took a look at Paul’s approach to those he mentored. I was also arrested when it came to the fact that Paul told Timothy about how that Onesiphorus had to care for the chains of Paul. How is that for apostolic ministry? Managing a chain? You bet! I am coming to understand more and more something I heard someone say a few years ago, “If you are too big to do the little things, you are too little to do the big things!” It takes excellence to fulfill the ministry of a chain, not very successful but a whole lot of excellence! Paul moved men around like chess pieces. What became prevalent to me as I sorted this out in moving through the Epistles was that God is more concerned with faithfulness and obedience than he is with the American trappings of success. As usual, I always feel like I have to qualify what I am saying/writing and I do so now, I am not for laziness in sort of fashion! Work diligently and faithfully and let God take care of the details. Worry with the depth of ministry and God will take care of breadth of ministry! Far too much of modern Christianity is geared toward personal success and fulfillment. 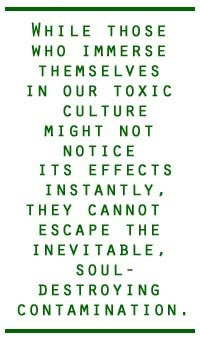 While this may be the cravings of our culture, it is not the message of Christianity. Scripture, especially the NT epistles, calls us as saints with a leaning toward service and even servant-hood. If you understand that the backdrop of church history and the role that many of those in the early Church who ended up dying for their faith, how can I reconcile that with a gospel of “self-fulfillment”? Try to tell a martyr about self-fulfillment here in this life and he will tell you that fulfillment only comes after we are released from this earthly body. The success paradigm will lead you to many unrealistic expectations concerning ministry. However if you understand that to faithfully preach the Word year in and year out is the goal, church growth will take care of itself. I want to make sure that you as the reader understands the context in which I am stating this, personal evangelism and corporate evangelistic efforts of the church must continue. Strong preaching will allow you to speak the very mind of Jesus Christ. Serve where you are. . . faithfully. . . diligently. . . until death or the Lord returns. . . . I have to admit that this was a battle that I had to fight out in the trenches of my mind. One of the trends that “thought” preaching takes up is to take a nifty illustration and then create an entire sermon around it. I have to admit that I loved taking a story and then setting up the message around the illustration. I have heard some masterful sermons that totally stunned my senses because of the power of the illustration. However, what I found was that years later, I could not remember the sermon at all but could remember the story. Some would say this is beneficial but my lingering doubt about this process is that it detracts from the very power of the Scriptures we are attempting to preach. A preacher who continually allows the illustration to outshine the Biblical message will cause a church to minimize the power of Scripture. Sermons that are heavy on illustration and light on Scripture will not encourage the church to dig into personal Bible study. I have found that the more a man attempts to open up the Scripture the more that people will suddenly begin to search out the Scriptures between Sundays. This can lead to faulty theology because what happens is that the preacher will take Scripture and use it to fit his illustration. Sad to say but far too many illustrations turn God into a very sentimental and manageable deity that exists solely for my whims and an ends to my means. Many of the rags to riches stories that are used as illustrations may unwittingly exercise the idea that God is always there to make life “happier” and “fulfilling” when ultimately the sovereignty of God prevails in the advancement of His kingdom. Another calamity that occurs with making the illustration the foundation is when the story overrides the message, it clearly detracts from Scripture. Subtly and even unconsciously what the speaker is saying is that the story is more important than the principle of Scripture. Whatever human effort it took to accomplish the task, God acquiesced to the man instead of the man seeking the guidance of God for His will and purpose. Honestly, we love those kinds of rags-to-riches stories of human perseverance. It is important to put the message together first and then have a wide range of reading that will allow you to insert good illustrations without having to put the message together around the illustration. 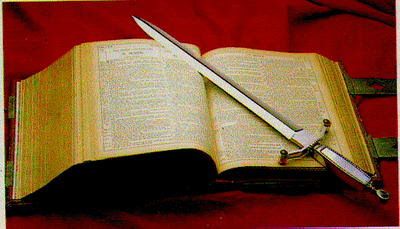 2 Corinthians 10:3, Paul is stating that he is human but he is appealing to spiritual means as weaponry. In 10:4, there is an attempt to tear down strongholds (fortress, prison, or tomb is the Greek rendering). In 10:5, Paul speaks of destroying ideas of the modern day. Spiritual warfare is assaulting erroneous ideas and you do it with Scripture not cool illustrations. It has been quite some time since I have spent a blog on a book recommendation. However, with Christmas right around the corner, this might be a good time for me to recommend some for you. While I take a brief break from the expository preaching genre, let me introduce to you a man who was an expositor. When I was in Bible college, our textbook for homiletics was written by D ML-J. The book is actually a set of lectures that he delivered to a group of aspiring preachers on different aspects of the preaching act. This was the first book by D ML-J that I read. During that time, E. E. Jolley, continued to encourage me to buy everything that D ML-J had written. All of his books were actually nothing more than his sermons that had been transcribed from tapes by his daughter. Admittedly, in my early days of preaching, D ML-J’s stuff was “heavy” for me because I was always looking for the quick fix. However, as time progressed on, I saw the value of his material greatly increase. Several months ago, I found a couple of online interviews from his daughter and son-in-law that Mark Dever had done. I listened to them in the late spring and early summer while I was riding my bike through some of the old rural roads that I ramble down. The interviews were pretty interesting and what I did not know was that D ML-J had followed G. Campbell Morgan in the Westminster Chapel in London at the outbreak of WW-II. I have had G. Campbell Morgan’s sermon notes for many years and have found them to be also good places of inspiration. D ML-J’s daughter spoke very highly of Campbell Morgan and it was particularly intriguing to me how the transition took place. Realizing his age was limiting him, Campbell Morgan began to allow his assistant to preach exclusively on Sunday nights. This is what gave rise to D ML-J’s lengthy series through books of the Bible. The two interviews that I listened to put me on track to a couple more featuring Iain Murray. I had read Murray’s biography of Jonathon Edwards back in the late 80’s and found it to be a good one. So when I found out the Murray had been mentored by D ML-J and that they had worked together for a conference on the Puritans, I decided to buy the two-volume set on D ML-J. 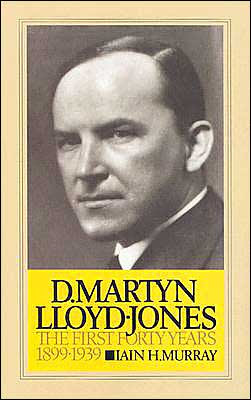 The first book, D. Martyn Lloyd-Jones—The First Forty Years, 1899-1939 was very historical as it told of the childhood and young adulthood of D ML-J. D ML-J was actually a physician who left his practice to preach and pastor a church. His colleagues, some of the tops in London in their day, were devastated and did their best to talk him out of leaving a life devoted to medicine. They recognized a very gifted and able mind in D ML-J and certainly felt that it would be a loss to the medical profession for him to leave. However, this did not deter D ML-J. He turned his back on success and a potentially lucrative salary to go to a pulpit. The bio recounts how that he met some resistance in his early pastorates because he gave much time to study and to preaching. Although he did make rounds to visit the sick and shut-in, his involvement in ministry was not a social activity but a matter of getting the Word of God into the hearts and heads of his congregants. Having read many of the writings of Ravenhill and Tozer, I must tell you that where Ravenhill and Tozer motivated me toward revival and prayer, this biography motivated me highly in the area of preaching. The second volume is, D. Martyn Lloyd-Jones—The Fight of Faith, 1939-1981 is keyed into the war years and his travels throughout Europe in the 1950’s. Again, there is much encouragement toward preaching and diligent study that you will read about. What is somewhat amazing to me is that he built a church entirely on preaching. He did a Friday night “lecture” series on different aspects of Scripture and then on Sunday AM and Sunday PM, he would work through two different books of the Bible. I found much, much inspiration in this. He did not have a staff. His secretary was his wife and she was very protective of his mornings and answered the phone in their small little home and planned out his afternoons. She bought into the concept that his preaching was the most important thing that he did and it took much preparation to be able to expound the Word as he did. This two volume set is very lengthy. The first volume is around 325 pages and the second volume is over 800. To me the prices of the books are worth the appendices and bibliographies that accompany them. They are both heavily foot-noted which makes their value go up even more to me. Also, understand that because I am recommending them does not mean that I endorse his theology as a whole. I merely think that the aspect of this biography will be beneficial to you in understanding the most important thing a pastor does—preach. This biography will be challenging for those times you are dragging and it will fire you higher when you are hitting on all eight! Just for the record and for a summary, I am giving you the links on one page for those who might want to read them later. Planned Preaching -- Part 1 -- An introduction to Expository Preaching and an example of some of my foolishness in preaching when I was a rookie. Planned Preaching -- Part 2 -- The reasons we ought to give ourselves to the disciplines of Expository Preaching. Planned Preaching -- Part 3 -- How to begin your initial efforts at Expository Preaching. Planned Preaching -- Part 4 -- Some recommendations about exactly where to start as far as Biblical texts. Planned Preaching -- Part 5 -- Some of the helpful tools that are necessary to get involved in Expository Preaching. Planned Preaching -- Part 6 -- Some more of the helpful tools that are necessary to help in Expository Preaching. Planned Preaching -- Part 7 -- The steps that I have used to work through a Biblical book in an expository manner. I am going to write on some final thoughts of how that approaching Scripture in a verse-by-verse fashion caused some remarkable changes in my own thinking. My hope is that you will read these blog posts in the spirit of which I write it. Whatever provocations you may find here are not intended to be inflammatory to your spirit but rather to be insightful enough to make you think. That is all I ever ask with anything that I write. I have been very forthright and at times angry with my elaborations concerning the Emerging Church because I see the deadly danger of its influence. However, most of the ramblings you find here on the Barnabas Blog are written to encourage you toward a higher life. That is what I intend with this series of posts but they may burn a bit going down. Much wrestling was done with this until I continued to let Scripture say over and over what it was going to say. I became so immersed in Scripture at the expense of some critics who said I was “Word” only and no Spirit. What I learned through that little trial was that those who violate the harmony and context of Scripture don’t have nearly as much “Spirit” as what they perceive they have. It was through this that I gravitated toward the understanding that a man was not a greater authority than what Scripture was or stood for. So through all of this process, I started holding myself to a higher level of ministry of the Word through the preparation process. In doing this some things began to prevail in my mind about preaching the Word. I came to understand that context of the passage is paramount. I begin to look at the way I preached and particularly how I listened to others preach through the lens of context. I became so radical about my own preaching and diligently worked to make sure I had the context correct. In fact I realized that if I was going to preach the context of the passage there were some of my own sermons I had to toss in the junk-pile. They did not hold true to Scripture! I had simply taken a Scripture reference and then leaped from a tall pulpit into the never-lands of frothdom. These “sermons” were fantastic, brilliant, funny, exciting and “successful” messages but they were not from God because I had taken His Word and made it say something it wasn’t intended to say. I had to find a place of repentance because I had violated the last commandment in the Book. It clearly states, “don’t add anything to it or take anything away from it” (Rev. 22:19) because the man who does is in serious danger of missing Heaven. I know. . . I know. . . I can hear it now, “Stretching it a bit aren’t you, Philip?” That depends. . . . It all depends on how much you value Scripture and how much regard you hold for God. Frankly my thoughts troubled me in that I had violated the first of the Ten Commandments. I had not made God into a graven image I had just made Him something that He was not. Oh we shouted and had a big time but it was inaccurate preaching because the context was violated. This is the danger in “thought” preaching or “thought” getting. I would hear a message and then I would get that magic “thought” and work it out without regard for the context or harmony of Scripture. For those who have been reading these blogs, I won’t you to understand that I will continue to preach topically (because it is not a mortal sin) but I will remember to give much regard to the context of the passage. One day as I listened to someone preaching (interestingly at a conference level), I begin to have some lingering doubts about a passage that was being “preached.” Much enlightenment came to me when I understood that Matthew 18 had nothing to do with a holy huddle of two or three agreeing that God was going to rain fire down from Heaven (or the Holy Ghost, or revival, or healing, or money). This passage has everything to do with church discipline. It is literally illustrated by Paul in 1 Corinthians 5 when he removes an unrepentant, sinning “brother” from the Church. When one isolates Matthew 18:18-19 and lifts it out of its proper setting suddenly the sky is the limit for whatever you want God to be and do for you. Essentially what happens is the preacher has suddenly made God something He is not. The next example I give was not so much something I heard preached but was used as a line of reasoning for ministers who had gotten into moral failure. I would be addressed in a manner like this, “Rev. A. has ‘fallen’ into sin. He is a good man and his pulpit ministry needs to be restored.” Then the line of reasoning would be “the gifts and callings of God are without repentance” (Romans 11:29) they would smugly say and then continue on about restoring such an one who had had fallen (Galatians 6:1). Look deeper in the context of Romans 11 and you will find that this has nothing to do with ministry but with Israel’s final welfare in God’s plan. As for the Galatians passage, this has reference to a man being restored to a position of salvation but not leadership responsibilities. To garner the direction for ministry, the patterns of the book of Acts and the Pastoral epistles have to serve as guidance. Where Scripture apparently makes no assertions, it is my thoughts that his is a mortal mistake to make in the general and overall welfare of the Church. These are the two prevailing examples of many that came to mind. It just does not fare well in the long run to constantly violate the principles of context. Again, please don’t get the idea that I am opposed to topical preaching because I am not and will continue to do it most likely on a regular basis. However, I am entirely opposed to preaching that is out of context of what the real intent of the Biblical writer is stating. Another thing that I discovered is that the personality of the preacher can trump the Bible. One day a little book came in the mail that was written by a man who had experienced much success (i.e., miracles, signs, wonders, evangelism, sacrifice, etc.). Comparatively speaking, his ministry was like a 10,000 lumen candle power to my little two double-A battery penlight. The light off of his ministry was overwhelming. In fact, there were times that I had sat and heard stories about his sacrifice and success and then in response drug my miserable, much-loathed soul to an altar and wept, snotted, and cried in much repentance about how little I had done. But as I read the little book, I begin to pick up on some unsettling things. At the time, I had no idea what “divine flesh” was but I was familiar with Gnosticism because of some studies that I had been through in Colossians. As I read this book, it troubled me that a great personality was apparently aberrant in his theology. In my mind, it was more than just a quibbling about some personal conviction. His view was entirely changing the scope and practice of Jesus Christ, in fact his “Jesus” had not blood, merely an emanation from God. I wrestled up and down with this. I remembered the miracles et al and wondered privately and later aloud to some elder ministers about this. The great lesson in this was that a personality, no matter how seeming successful they may be cannot trump the Word of God. Miracles are not a seal of approval on false doctrine. As time has passed, I came to the conclusion that good theology will put steel in your mind and in your backbone. The more theology you understand and know, you can say, “You’re preposterous claims have no Scriptural foundations.” Brothers, whether we realize it or not, we need this kind of mentality in our days. We need the gumption, as they say, to gently confront but deal with error in a very measured way. I have written in the past about how that Hebrews 13:17 indicates that I will have to give a specific account for the church I am called to pastor. It will be very uncomfortable and chilling on that day for the Lord to ask me “What did you do with the Church I gave you to pastor?” if I have been negligent with doctrine. A pastor has the great responsibility to not allow his own personality or that of another “successful” minister to corrupt the flock with faulty theology. Brothers, expository preaching will open you up to a greater awareness of your responsibilities and it will increase your knowledge of the Bible exponentially. More to come. . . thanks for reading. . .
With this next post I want to give you a few things that have been useful to me as far as the preparation process for actually putting a lengthy series together. First, read the Book! It is important for you to read the whole book of whatever you are working with. 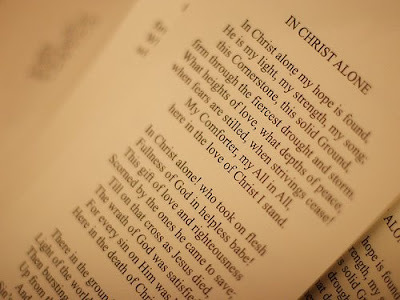 If you choose to begin with 1st John, you should read that epistle daily. 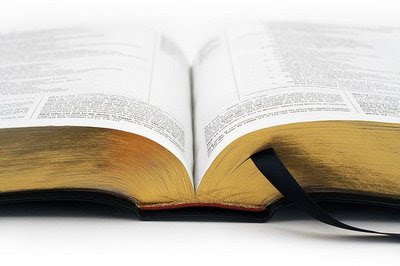 It takes about 25 minutes to read through 1st John but as you read it repetitively there is an ability that you develop through the rote of it that helps you to cross-reference the chapters because you are familiar with Scripture. On a side note concerning reading the Bible: You can break up the Bible into segments and read it through 30 times in about 2 ½ years. The way this works is you should take for instance 1st John and read its 5 chapters every day for 30 days. Then go to Philippians and read it entirely every day for 30 days. To alternate the shorter books with longer ones, then go to Matthew and read chapters 1-8 every day for 30 days. By breaking the NT up into segments like this, when you read it repetitively like this, you will be amazed at how much you can memorize actually through the daily process of it. As you move on through the NT, cross-referencing becomes very easily done. This is a great strength of the study method for expository preaching. In addition to reading the book you have selected, it is very important to look into the historical background and allow that to develop a geographical picture in your mind. When I did this with Corinthians, the historical data that I gathered brought me to the idea that Corinth was apparently like Las Vegas or New Orleans with all of the flagrant sins in those places. When I did this with Ephesians, I came away with the idea that Ephesus was somewhat sophisticated but given to much idolatry. They were a society that was advanced financially because of the commercial trade routes (by sea and land) that ran through the city. While not exactly like Wall Street, you can see some similarities between the two. Interestingly, scoffers of preaching and the Bible say that neither is relevant for our day. But what could be more relevant to our society than solid instructions from the Word that will revive the heart into spiritual life? In fact, for those who say that we have made technological advances that have outpaced the Bible, I would strongly disagree with you. Abortion is not new to our days. The Egyptians, the Phoenicians, and the Romans (among others) all practiced abortion. The principles of Scripture condemn this no matter if it is an ancient society or a “modern” one. This is just one example among many. The real difficulty is that very few people allow themselves to think logically with principles in our times. It is a matter of convenience and ignorance. A lot of this kind of information can be found in OT Surveys, NT Surveys, Bible encyclopedias, and Bible dictionaries. Commentaries usually have introductions to each book and there is also valuable information that is contained there. You just have to work and stay in your seat until you dig it out. There are no shortcuts to great preaching. You might also want to consider alternate translations to read through the book you are working with. I have found that the NASB, J. B. Phillips, James Moffatt, and sometimes The Message can be valuable to help me further focus on greater details in the book. Now back to the plan of actually doing it. First, read the Book. Secondly, break up the passages into main ideas. You can do this by resorting to an outline or you can pick out key words and allow this to drive your message. I have come appreciate study Bibles that break up the books into paragraphs (NASB; NIV; ESV, etc.). The paragraphs allow you to determine the subject matter and then progress from there. This can be very helpful in helping to set up the main ideas. Now, I have a tendency to over-do things and I have with my 1st John series. I have just finished 3:3 and have 17 different messages. In fact, I managed to pull from 2:15-17 three messages. In 2:15, “The Love that God Hates,” in 2:16, “Why a Saint Cannot Love the World,” and in 2:17, “The Cardiology of Worldliness.” These three turned into a five Sunday night series back in the summer month of June. I will be honest in saying that I was literally stunned at the results. I was able to simply walk through Scripture and plead with people about how important it was for us not to love the world and to give our lives entirely to God. Since I have those strong Pentecostal roots and feel that altar services are still important, on all five Sunday nights in June there were very lengthy times of prayer after the preaching. I am spoiled by the church that I preach in weekly because of their hunger for the Word and then their response to the Word. I have almost refused entirely to resort to Powerpoint Scriptures on the screen because I want people to bring their Bibles to church. If we have guests, I encourage those standing nearby to share their Bible. As for the altar services, they all lasted at least 45 minutes (a couple went well beyond an hour) and ¾’s of our church was involved in them. As mentioned previously, expository preaching is not a running commentary of random thoughts on different things that come to the mind of the preacher while he is studying. When you isolate the ideas, then you begin to work with the main idea. If there are any suitable subtopics in the passage you can work with these also. The next step is to take the passage that you are working with and press it through the rigors of observation, meditation, and interpretation. By doing this you allow the Word to develop the message instead of having to hunt down warm fuzzy stories, video clips, and a host of other lesser substitutes. There is a famine in the land not of bread but the Words of God (Amos 8:11-12). I do not want to be a man in a pulpit who endorses the famine of the Word by preaching Guideposts sorts of sermons. As for the application aspect, you may consider these questions. • Are there examples to follow? • Are there commands to obey? • Are there errors to avoid? • Are there sins to forsake? • Are there promises to claim? • Are there new thoughts about God? • Are there principles to live by? I will say that if you have perused some of my Ephesians notes or the 1st John notes you probably did not notice the application aspects. I purposely did not place them in the actual notes but wrote in the margins and on the preceding pages. These three main steps have multiple different components to them that I have not included. My interest is to encourage you to simply begin. I will continue to preach topical messages but I will balance it with expository messages because this has to be the backbone of my preaching/teaching. It sheds great light on our days. I want to encourage you on two things. First, you may begin a series and then back out because it is tedious and demanding. Don’t lose heart, it happened to me on one of the early series I started in Matthew. I started and quit in grave frustration. But a little while later, I picked up Ephesians and discovered that my stumbling steps in Matthew were useful to help me in Ephesians. Secondly, you will have to train your congregation to get used to this kind of preaching. If you have some hearty soul who has been saved, sanctified, and filled with the Holy Ghost, they may accuse you of being “Baptist” with your approach. Luckily I am in a church that has this kind of teaching for 40 years and they are used to it. However, my strong response to that claim (and I have told a few preachers this before who determined to “straighten” me out) is what Paul told the Ephesians elders in Acts 20:27. “I have not shunned to declare until you all the counsel of God.” All means all. All Scripture is given by inspiration of God. . . I intend on preaching every verse of it! Lastly, I know some of you may know Brother John Harrell in Bridge City, Texas. He is a tremendous preacher whom I have grown to know and love over the past 10 years. I managed to get a tape catalog years ago of his preaching in Bridge City and I leave this example to encourage you for where you are serving. He preached lengthy series through Genesis, Luke, and Ephesians. In addition to this he also preached lengthy series through the life of David and Peter. Now just go and preach. . . . The last post on expository preaching was about some tools that encouraged me to get into verse-by-verse teaching. Let me allay the concerns of some who may be reading these posts, I am not speaking of an off-the-cuff rambling from one verse to the next and making varied comments about all sorts of things that come to the preacher’s mind. I am speaking of working through a paragraph or a passage where the context is intent on enlightening us about what God has to say about things. When one does this sort of teaching, doctrinal understanding is heightened and a God-focused ministry of the Word will prevail. It will prevail against theological liberalism, doctrinal shallowness, and things that are shades of gray will become very clearly black and white. Our gray thinking world and even some gray-thinking saints will not appreciate the firm and clear directives that the Bible speaks specifically on. Gray-thinking creates an atmosphere for “out of season” preaching as Paul encouraged Timothy to give himself to. There will be times that our preaching will be “in season” and there will be other times that it is as if we are pulling a wagon up a hill. 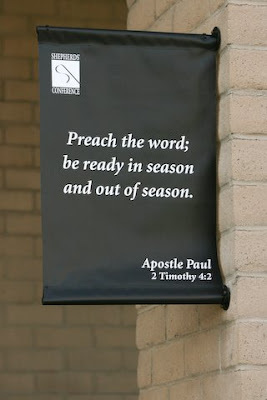 This is “out of season” preaching that is required of the man whom God has called to preach. Some more tools that I have found very valuable in helping me work through passages of Scripture are books that help one to understand the nuances of the Greek language. My interaction with the Greek language has been challenging, difficult, maddening, and yet very provocative and helpful. I begin in 1991 with a Greek class taught by Brother Hunt at TBC. We began with the alphabet, worked with parsing words, and rote memorization. However in all of that, there was an understanding about how to use Strong’s Greek numbers in his concordance and the Thayer’s lexicon. 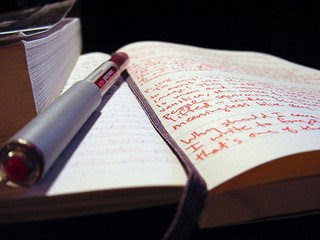 Grasping the ability to use that was extremely helpful and for at least a year beginning in July 1992, I would do word studies on different passages in the Bible. I first started with the Sermon on the Mount and then skipped over to Ephesians. Word studies can be wearying and exacting but I pressed on with it and found many things that added content to preaching and teaching. I will never forget one of those “aha” moments that struck my soul when I started working with the word “temple” in the NT. I won’t spoil the inspiration for you. I would encourage you to find it on your own but it was a very powerful concept that was opened to me. Another word that so struck me was the word “tare” in Matthew 13. There are huge implications when one looks into the thoughts of the darnel in comparison to the wheat. The comparisons and contrasts from the weeds and the wheat in reference to a true saint make for fine preaching! These are only two of the vast treasures that I mined out by doing Greek word studies. I mention one more to help you to see the importance of it helping you. 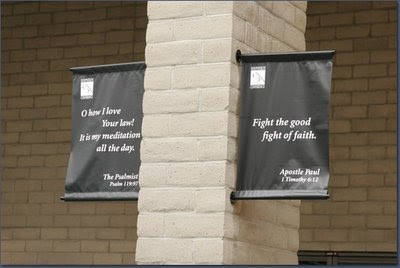 In Ephesians 6, Paul lays out the order of the armor. He mentions the breastplate of righteousness and then the belt of truth. I found out by doing word studies that the breastplate was worthless without the belt. The breastplate was made in such a fashion that it attached to the belt so that it would remain secure. If the belt was not in place the breastplate had no security. Righteousness (holiness) is very dependent on truth (doctrine). Some lament the emphasis on holiness and others decry the emphasis on doctrine. However, Paul clearly stipulated that a Roman soldier would not go into battle with one of these things missing. Doctrine and holiness secure each other! I dug this out of Thayer’s and Vincent’s word studies. Brothers, please understand that if you ever determine to dig into expository preaching in this manner it will transform the way you look at the Word. Another helpful tool for me was a “hoss.” It is expensive and in the beginning stages very difficult to learn how to use. Knowing Greek is almost a requirement but if you don’t, this should not be something that stops you from buying it. I am speaking of Kittle’s Theological Dictionary of the New Testament. It is nine-volumes with a 10th index volume that is very helpful if you do not know Greek. It adds much to your understanding particularly in the background of certain words and what context that they were used in. Again, I have to tell you that this set of books will take some time to learn how to use them and they will not be books that you will use every time you are in preparation but they are still worth the investment. Marvin Vincent, Vine’s, and Kenneth Weust all have books that are devoted to Greek word studies that can be very helpful. Spiros Zodhiates The Complete Wordstudy Dictionary – New Testament is also a good investment to make as it will provide insight. I would say that all of these books elevate the appreciation that a student ought to have for the Greek language (koine’). Another helpful set of books was William Barclay’s Daily Study Bible. He spent a lot of time writing about the historical background of the text that I was working with and it was very valuable. Many times he would be able to open up a Greek word that Thayer’s and Strong’s were not as insightful about. I am now going to list some things that will be helpful to you. I must always place in the sufficient disclaimer and say that my listing of these books does not mean that I endorse all that they have written. I expect that you will do as I do and that is read and study with a leaning toward discernment. This sort of book is helpful to let you see how a particular subject is followed through all the way through Scripture. My primary exposure has been with only two and therefore I cannot say anything about other books of this nature. I used to scoff at this sort of thing but the longer I live the more important I have come to understand the context of the passage. Books on hermeneutics can give you some good tips as to making sure that you get it right. There are numerous OT passages that have been brought into play by some who think they are for the modern day church. 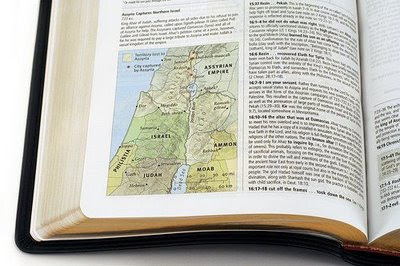 Hermeneutics will help you to determine what God was speaking to Israel and what applied to the Church. I might add that these books can be a task to read. These books are very good because they are often concise in their treatment of a book or passage but pack much power. I will not list a lot of these because you will find that there are some you will warm up to and others that will be a waste of your time. Something I did learn about commentaries that I wished I would have learned earlier. I found out that because a commentary is listed as a “critical” commentary does not mean it is opposed to Scripture or detracting from Scripture, it simply means that it is very detailed in explaining its points. Commentaries fall into two categories: 1) Critical and 2) Devotional. A devotional commentary would be that of Matthew Henry and others like him. A critical commentary would be The Anchor Bible Commentary. 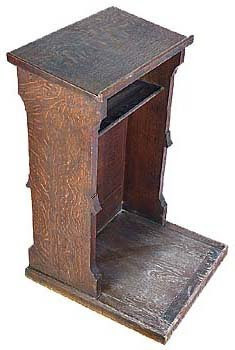 The Pulpit Commentary -- Very old but very helpful. As you develop your habits, you will also develop your library. Again, you will find that when you start dropping your anchor into these waters, a lot of modern popular writers will lose their hold. I know that some of you are probably thinking I am overboard with the studying that is required for this kind of preaching. I might add that up until almost 3 years ago now, I was working full-time at the hospital in a cath-lab as an RN. In addition to that I was on call, 7 days straight every other week. What I found out was that time is very valuable and a lot of it gets wasted on frivolous matters. You have to get a grip on your time and discipline yourself to being an ardent student of the Word. God Bless and thanks for reading. . . . .
With this fifth part in the series on expository preaching, I want to recommend to you some of the tools that will be necessary to direct you toward expository preaching. Much of what I have learned about this type of preaching has been primarily garnered by self-study. I have taken two classes at a seminary level that pushed me toward the concept of expository preaching. However much of it was learned simply by reading books (some of them multiple times) that dealt with the expository method. I marked them up in the margins and underlined things for emphasis and always had a notebook that I could write things down that really seemed to be able to help me. I look at books much as a carpenter looks at his assortment of tools in his toolbox. There are some tools the carpenter will use every single day and there are others that he will use occasionally while others will be used rarely. But all in all, he still has them at his disposal. I found initially that biography held much inspiration for me. In the early ‘90’s, I found G. Campbell Morgan’s biography by his daughter, Jill, to be very helpful for me. It described his days at Westminster Chapel and his process of studying and preaching. Charles Spurgeon’s Lectures to My Students was a very helpful book although Spurgeon was not what one would classify as an expositor in the manner of verse-by-verse preaching. 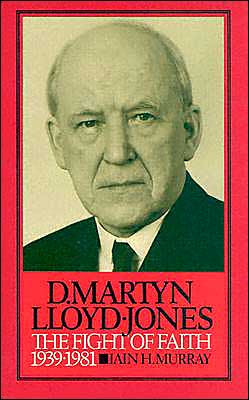 Preaching and Preachers by Martyn Lloyd-Jones is a classic that was required reading for my Homiletics class at TBC. I did not realize the value of this book until probably the late ‘90’s when I pulled it down again and begin to re-read the passion that ML-J had for preaching. In my estimation the book that had the greatest impact on me concerning this type of preaching was written by John MacArthur in collaboration with the faculty of the Master’s Seminary. It was originally published in 1992 under the title Rediscovering Expository Preaching. It has since been republished with some helpful updates under the simple title of Preaching. This book is almost like having a classroom at your fingertips. It literally will walk you through the whole process of how to put together an expository study method. You will find yourself having to grasp the understanding of hermeneutics, exegesis, word studies, in addition to helpful recommendations for outlining, introduction, and illustrations. I might add that this book is not light reading. What I mean by that is it will not be filled with much inspiration and the very brawn of your brain will be required to process through the steps that it recommends. However, if you can just grasp small concepts of what is being taught as far as the method is concerned it will help you to pay very close attention to the context of the passage and evaluate how the passage relates to the Bible as a whole. The second book that I had to work through was in a seminary class. It was a very tedious book and it has also been reprinted with some very good additions. The book is by Bryan Chappell, Christ-Centered Preaching: Redeeming the Expository Sermon. Again this book is a textbook and is not given to very much inspiration as it is to the sheer brawn required of your brains. I have increasingly found that expository preaching requires much, much, much discipline. If you are full-time in ministry, it will require a lot of your mornings to be set aside for constant and progressive study. Chappell places on you six questions that must be answered in the preparation process of the expository message. • How do I know what the text means? • What concerns caused the text to be written? • What do we share in common with: a) those whom the text was written to; b) the person who wrote the text? • How should people now respond to the truths of the text? • What is the most effective way I can communicate the meaning of the text? In addition to this, Chappell also helps with outlining and gathering your illustrations to assist with the preaching. The book is filled with numerous tables and diagrams that are also very helpful. One thing you will find that initially you will scoff at (at least I did) was when he emphasized the importance of diagramming Scriptures like you had to do in 7th Grade English. However, I have found that sometimes in determining the subject and predicate in the verse sheds great light on what the biblical writer was trying to say. Bear with me on this as I can hear you groaning from here! Another tool that immensely helped me was a book by Stephen F. Olford. One reason that I appreciated this book so much was that it was much simpler than MacArthur’s and Chappell’s works. Olford’s book Anointed Expository Preaching was like moving from trigonometry to simple addition. It was refreshing in the way that he simplified the approach from an academic style to an inspirational level. 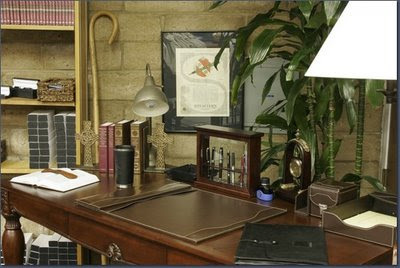 He wrote about Selection of a Text, Investigation, Organization, Finalization, and finally the delivery of the message. Olford’s approach is very good and in my estimation should you choose to start reading any of these books, Anointed Expository Preaching might be the best one to start with because of its simplicity. Another very good thing about this book is the extensive bibliography in the back. MacArthur’s and Chappell’s are also very good at this, as are the footnotes (which can be hidden treasures). Harold Bryson’s Expository Preaching is another good tool that I appreciated because of its inspirational level. Although it is a textbook used in many seminaries, I found it was very helpful and not overly academic. This is one of the pitfalls that can happen when one starts to embrace the expository method. One can get so caught up in the background of the text and the nuances of the Greek that the congregation drowns in the details of the message. Bryson helps with this by giving you ideas of series of passages to work through. He has recommendations for Genesis, Proverbs, the Prophets, and the Gospels. His ideas on Acts were also very helpful when he lists “great” texts from Acts, “great” personalities from Acts, and “great” events in Acts. This book will be like water priming an old fashioned hand pump for the preacher’s mind. A newer book that I have benefited from was written by Michael Fabarez entitled Preaching that Changes Lives. The greatest advantage that I found from this book was in the process of application of the message. Expository preaching must be more than just an information dump where the preacher gets all this biblical and historical data, then backs up his “dump-truck” to the pulpit and dumps all the material on the poor man in the pew. This sort of thing can give expository preaching a bad name. This is what Fabarez really works at with the application process. So what that Esau sold his birthright and the Samson got his hair cut and ended up grinding corn, what is the spiritual principle behind all of this? What does it matter that Cornelius was a devout man who prayed and gave alms, what is the spiritual aspect of Peter finding him? These are the sorts of things that can help you with turning expository preaching into a very livable theology. Power In the Pulpit by Jerry Vines and Jim Shaddix is another book that serves as a textbook style of help. It has steps that are carefully laid out in a 1-2-3 or A-B-C type plan that will help you to develop some solidly biblical messages that are true to context. It works with exegesis, hermeneutics, to help get you on the road of homiletics which is the actual delivery aspect of preaching the sermon. On the next post, I will give you some of the commentaries and other books that have been helpful to me. Again, I have to warn you that if you determine to go down this path and really dig into Scripture, you are going to “spoil” yourself. You will find that very few modern writers will continue to have an appeal to you. Max Lucado, bless his heart, will become a distant memory. You will also see right through the foolishness of Irwin McManus, Bryan Maclaren, and Doug Pagitt. You will instead warm up to the solid writings of the Puritans, A. W. Tozer, Kenneth Weust, and a few others. Charismania things will lose their appeal to you and over time, your God will become far less sentimental than what He perhaps has been in the past. God is more concerned with the perfection of the saints than in giving possessions to the saints. 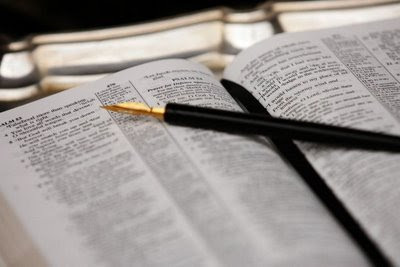 I begin this fourth post in encouraging you toward expository preaching with thanks for all the e-mails and even some comments on the blog that I have received concerning this type of preaching. 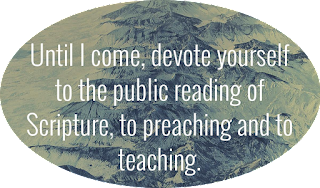 It has been quite interesting to me to see the apparent desire coming from a lot of men concerning the transitioning of their own preaching styles in serving their churches weekly. My brother, Mark, some years ago aptly picked up on the homiletic keys that some preachers were guilty of. He told me that he had heard a lot of preaching where the man picked a text and then pitched a fit. That homiletic plan is literally called “pick and pitch.” We heard that mostly at some, uh, well I need not tell you where we heard that as the geography might blow some cover. I am quick to add that Mark or I ever heard that style of preaching from our pastor, Joe Patterson. Brother Patterson was always well prepared on Sundays and Wednesdays (mid-week) were always times that routinely we went through portions of Scripture that helped the Church. Thanks for the subject of your blog. I have encouraged expository preaching for many years. It is the most "satisfying" preaching for the saints of God. They feel "full" when they leave. Rather than going to the Word for our teaching, we feel pressed to find that "nugget" that no one has heard of that will make us sound smart. More often than not, that nugget is some form of subjective typology, since we can put our own spin on the OT types and shadows. "Preach the word" should mean more than alluding to some passage in the Scripture. As you described your experience, I thought of how typical it is...we get a thought or idea and try to tie it to some verse, often taken out of context to fit our thought. I miss expository preaching in my present capacity, except when I am home and teaching the adult class. It is not what is expected when you are out on the road, although messages that elicit as much response as any other are the verse-by-verse expositions of Genesis 1, Psalm 1 and Psalm 23. You can cover so many vital topics in those passages. Expository preaching builds people, and people build churches. The word gets around if a preacher is feeding his people. One of the primary reasons for dissatisfaction with pastoral leadership centers around "not getting fed." As a presbyter and official over the years, I have heard that often. Hungry sheep will eat the wool off of one another's back. Feed people a solid diet of the Word and they will be happy. Fast food and sugary desserts inhibit the maturing process, and usually causes outbreaks of pimples...a pretty good sign of adolescence. Again, thanks for encouraging other young ministers to "preach the Word"! Prior to receiving his e-mail, I had already resorted to my old Homiletics notes (handwritten) and the Homiletics notebook (prepared by Brother Ensey and Brother Kelsey Griffin) to find some useful helps toward expository preaching. One of the things that I found there was the emphasis that Brother Ensey placed on us about not allowing yourself to get on “hobby-horses” and ride them into the ground. Some pastors only preach on prayer, others only on revival, others only on evangelism, others on faith, and others on encouragement. 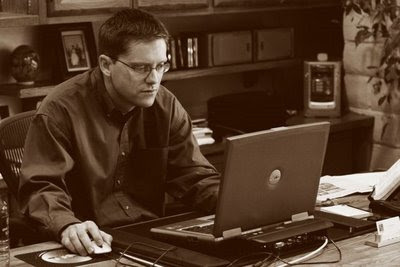 Whether a pastor is willing to admit it or not, despite the fact that he may be praying and getting a “fresh word” from God (please understand that I am not saying this disparagingly) often his preaching will tend to follow certain “cycles.” Furthermore when a church is having problems or difficulties, if we aren’t careful, great distraction can occur from the real purpose of the pulpit and we will get sidetracked and end up hopelessly chasing rabbits down trails in hopes of finding their burrows. Rabbit-trail preaching is sometimes good but when it becomes the norm, very superficial understanding of spiritual things. 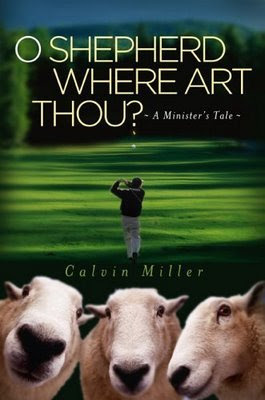 Furthermore rabbit-trail preaching often turns the focus of the sermon on the man who is preaching (which in my opinion is idolatry because the focus becomes man-centered instead of God-ward) because he is almost always the hero of the sermon. It places supreme emphasis on the Bible. It makes for a broad understanding of the Scriptures as a whole. It provides an opportunity to speak on many areas of Scripture that are often neglected. It keeps the preacher from “harping” on one subject. It enables the preacher to deal with specific evils and sin. It furnishes a life-time source of preaching material. It conforms to the biblical ideal of preaching. So where does one start. I have covered this lightly in a previous post but now from the Homiletics notes, let me supply you with a list that can serve as a jumping off point. However, don’t let this list fool you, if you start doing expository preaching understand that it is exacting, demanding, and time-consuming. You are not going to be able to throw it together a quick stew of Scripture and make it work so to speak. In addition to this list of passages, Brother Ensey also told us that in his two pastorates (North Carolina and Texas) that he would take a long list from “A” to “Z” and would look at subjects and force himself to study through the topics and preach them. Brother Griffin in his two pastorates in Wisconsin also did something similar to this. If you choose to do this, Nave’s Topical Bible is a good starting place. While I would encourage you to do this, I also caution you to be careful that you do not fall into the process of entirely topical preaching. 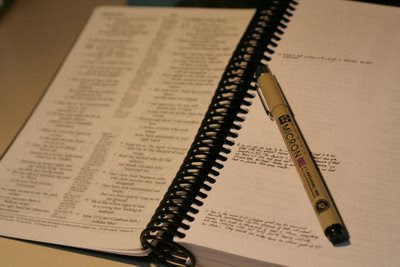 Force yourself to dig into the meat of Scripture and do the word studies, finding the subject of the verses, and so on. If you are interested in the two passages I have worked through a) Ephesians 6:10-20 which I called the Believer’s Warfare or b) 1st John which I am not working into the beginning of chapter 3, I would be happy to send you the notes. Zip me an e-mail to barnabas14@graceba.net and I will send them to you.